Certified Los Angeles CA Event Planners specializing in team building events & entertainment for private parties, corporate events & murder mystery dinners. From San Diego to Las Vegas, Beverly Hills to San Jose, we are the Los Angeles event planners who provide team building activities, team building game shows, lookalikes, celebrity impersonators and murder mysteries for the largest corporations in California and Nevada. Dial M has five divisions of service: Event Planning, Team Building, Celebrity Lookalikes, Cover Bands/Musicians, and Entertainment. Our creativity, hands-on guidance, and professionalism have earned us the title of team building and corporate events planning specialists in Los Angeles, California and Las Vegas, Nevada. Personalized event planners for interactive entertainment and team building events. Some favorite events are our murder mystery dinner shows, murder mystery team building activities, team building game shows, "meet and greet" stilt walkers, corporate picnic games and beach Olympic team building games. Our cover bands, variety dance bands, and jazz musicians, combined with Los Angeles celebrity lookalikes and impersonators will give your clients that "Touch of Hollywood." Our team building activities offer employee motivation that will RECHARGE YOUR OFFICE. We work with you to create an employee motivation programs that will accomplish your goals. 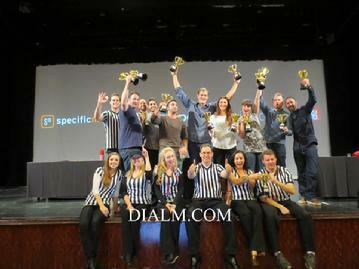 For employee motivation try Family Feud, Trivia Mania, Jeopardy or another one of one of our game shows. Let us organize and lead your employees through company picnic Olympic style games or Beach games. Our team building murder mystery dinners let your employees socialize as they bond together to solve the mystery. Drum circles and culinary cooking programs are fun team building activities that encourage everyone to work together while having a great time. It may be business, but that doesn’t mean it can’t be fun. The business event planners at Dial M Productions turn the mundane corporate occasions into powerhouse team building event. Since 1985, our business event planners have guided major corporations, creating unique and inspiring productions that bolster company team spirit. We understand the special needs required for team building corporate events. We are a creative, experienced company who you can count on for all your corporate team building events. When you're working with Dial M Productions, you are working with the best. With over 30 years of experience. 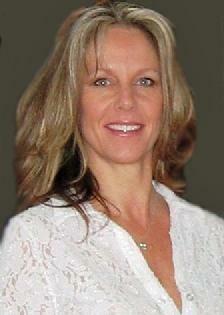 We are certified event planners with 1 million in liability insurance. Need to be added as an additionally insured? Not a problem. Drum Circles, Murder Mystery Dinners, Team Building Workshops and Culinary Cooking Team Bonding Challenges designed to accomplish your goals in an atmosphere where learning is fun! Our events are versatile enough to inspire new teams while boosting the morale of existing ones. Our activities build management skills, develop teamwork, and teach communication and listening skills while renewing company spirit and motivation. Our workshops create a risk-free environment where people learn "theory through practice", discovering their potential in a creative, non-threatening way. We ensure that participants will become fully involved in teamwork, communication and creative problem solving while having a great time. Let Dial M Productions get your message across! Dial M Murder Mysteries for private parties and team building events. 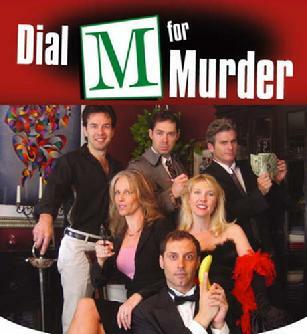 DIAL M MURDER MYSTERY IS LOS ANGELES' LONGEST RUNNING SHOW! "A delightful mixture of mystery and comedy"
"An appealing cast...a terrific time." At a Los Angeles Dial M Murder Mysteries, every guest is a suspect including you! Can you solve the murder mystery & win a prize? Detective Riley leaves everyone dying with laughter as he exposes information about your company & guests. “A Party You’ll Die For”. From the moment you meet the Mistress of Murder the plot begins to thicken. Each guest will be given a clue card. They will search for the murder mystery character with the motive for their clue, find a match and the murder mystery is a foot. What a great way to get the party going! All guests are invited to lie about their true identity. Have you prepared your alibi? Will you be rich and famous or mysterious and aloof? Our sound engineer provides the murder mystery soundtrack as Detective Riley encourages everyone to piece together all the clues to solve the murder mystery "Whodunnit". We will set-up some of your guests as suspects. They are framed and become a part of the murder mystery show. We will personalize your party when given information about your guests to make your event one-of-a-kind! Our murder mysteries can also be designed as a murder mystery team building event. Los Angeles Murer Mystery and Las Vegas Murder Mystery available. Murder Mystery team building events in California and Nevada. 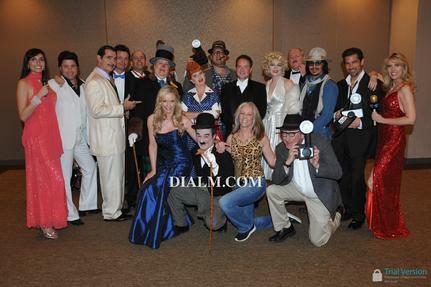 Our Los Angeles and Las Vegas celebrity impersonators and look-alikes are perfect for your corporate event, Birthday party or Anniversary party. Lookalikes and celebrity impersonators are increasingly popular in today's world of celebrity obsession. Companies are using celebrity images to promote products and attract guests to parties and trade shows. Lookalikes have been popular for many years and have been hired to meet and greet guests at the start of a party. They can also surprise guests by making an entrance, and in the case of celebrity impersonators sing a song or two. Las Vegas Lookalikes and Los Angeles Lookalikes available. CELEBRITY IMPERSONATORS SHOWS "AN EVENING WITH THE HOLLYWOOD STARS"
Celebrity lookalike and celebrity impersonator live show. Mix Austin Powers with Marilyn Monroe, Cher, Elvis Presley, Dolly Parton, Donald Trump, Charlie Chaplin, Lucy, Ricky Ricardo, Madonna, Michael Jackson, Jack Nicholson, Angelina Jolie, Brad Pitt, Paula Abdul, Simon Cowell, and David Letterman-to name a few, and you’ve got a celebrity impersonator tribute show guaranteed to deliver memorable music, laughs, and a genuine piece of history. . . all done in the most authentic way! All live singing by LA's best Celebrity Impersonators and Lookalikes. From start to finish, there’s something for everyone in this fast-moving music and comedy trip back to some truly unforgettable times. Go to our Celebrity Impersonator and Look Alikes page to learn more. Team building games for all ages and abilities. Our coaches and cheerleaders will attend your company picnic and lead your teams through fun interactive sports games, where no running or rope courses are involved. We provide lots of fun games for both adults and kids to play. The games are designed with a team building activity concept to get everyone working together. Compay picnic games, Minute To Win It Games and Sports Olympic Beach Games - Los Angeles and Las Vegas team building picnic games. Our coordinators provide a wide variety of picnic games, such as; relay races, sack races, water balloon toss, limbo contest, spoon races, name that tune, write a company cheer, game shows, and much more! Games are based on your age group and length of event time. 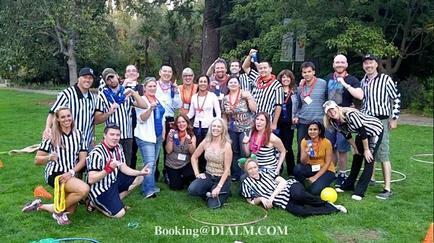 We have several more games and picnic style games designed to develop a feeling of team spirit for corporate events. Our Coaches and Cheerleaders will motivate your teams through out the event to keep the “party” going, in a fast, fun paced environment where everyone is encouraged to have fun! Dial M Productions will provide all props. You will need to provide the prizes, location, and food. You may purchase these items and prizes or 1st Place ribbons at an additional cost. Put together the fun elements of The Weakest Link, Family Feud, & Jeopardy, and you’ll find yourself caught in a game show that will have everyone eager to answer questions to win their team a “link”. Our hosts are brilliantly funny & deliver the game show in an atmosphere of friendly competition. Our game show leaders create an environment where the players can have a hilariously fun time whether they win or lose. Throughout the game show, our game show leaders will help keep the game show fun, fast and entertaining. They will announce the player’s team names, assist in organizing the teams, and encourage the audience to root for their team. 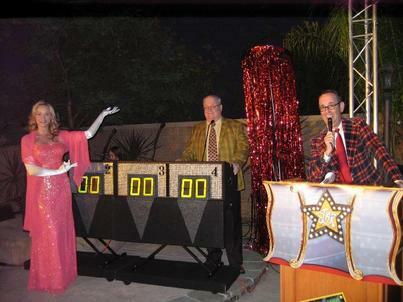 Teams will be given a custom game show bonus round written specifically for your corporate event. This can be a bonus round about your company or guest of honor. Teams will compete to see who can answer the most questions the fastest. Remember, they must answer as a team so group cooperation, organization, and communication is essential! The team must work together to come up with an answer to the questions. Our sound engineer provides a live game show sound track. This will include theme music, sound effects, musical game show rounds, microphones, dinner music and interactive musical rounds during the game. WE ALSO OFFER Deal or No Deal, Are You Smarter Than A Fifth Grader, Family Feud, Jeopardy and The Newlywed Game Show. We offer a wide variety of cover bands, dance bands, and musicians. From Los Angeles California to Las Vegas Nevada we book bands. Bands and musicians, tribute bands, big bands, jazz bands, Disco, Motown, R & B, Caribbean bands, Polynesian bands, musical reviews, celebrity impersonators who sing live, and headline entertainment. We have musicians and bands located in Las Vegas Nevada, Northern California, and Southern California. Most of our bands will travel to your city to provide you with the band of your choice. Splash! The Groove, Zippers, Ronny and the Classics, Zoot Suit Riot, Haute Chile, Blues Brothers Tribute Act, Boogie Knights, Spazmatics, Disco Kings, boogie Knights ~ we have all the best bands to make your party a hit! For Weddings, our live bands and musicians offer wedding reception music with some of the best musicians in Los Angeles and Las Vegas. When your special event requires the best live band, DIAL M FOR MUSIC. We are known for corporate entertainment, and that includes music for large as well as smaller corporate events and trade shows. Bands for these special events as well as musicians for wedding receptions require the most professional entertainers and musicians-and that is what Dial M Music is all about. Let us select the band to make your event a party to remember. We provide high quality, professional musicians you can count on and bands that your guests will remember. And each Dial M Event has our own on-site event manager to follow through with all your sound and event planning details. We carry one million in liability insurance. Our events are risk-free! 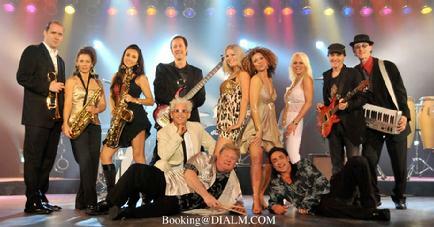 Los Angeles & Las Vegas cover bands, dance bands, jazz musicians and tribute bands. All types of Los Angeles bands and musicians. Solo guitar, singer/songwriter guitar music, piano, solo, duo and trio musicians for shopping centers and Country Clubs. Classical music and quartets, piano, harp, bands for wedding receptions, wedding music, DJ’s and professional singers. Dial M Music will bring you the finest in Las Vegas and Los Angeles. We handle hundreds of musicians. Our aerial circus acts and stilt walkers will give your event a grand "Cirque Du Soleil" feel. The circus aerial rigging will provide the audience with great visual, breathtaking circus acts that will delight your crowd. Seeing circus acts up close is truly a rare opportunity. Be completely entertained with a blend of aerial trapeze artists, aerial hoop, aerial chiffon tissue, stilt walkers, jugglers, aerial cube, contortionists, clowns - breathtaking! The event begins with our Cirque Performers strolling and mingling through the audience. Our stilt walkers will greet your guests at the door and welcome them to the party. Once they enter they will be met by a variety of unique cirque performers such as contortionists, acrobats, jugglers, clowns and fire artists. We can also include balloon artists, face painters, Tarot Palm Readers to the circus festivities. For the main act, our cast will perform a spectacular aerial cirque stage show combining all of their talents into a complete, flowing, spectacular "Cirque Du Soleil" style show. We offer circus trapeze artists, aerial hoop, tissue, rope, and straps. You can adjust the number of circus performers to accommodate your budget. Dial M Productions is the company that supplies the casino equipment for the People's Choice Awards, ASCAP Parties, Creative Artists Parties, to name a few. Imagine the thrill and enjoyment you and your guests will receive with the exciting, fast-paced action of your own Casino. Whether your event is a major production for 4,000 guests, an intimate affair, or a corporate team building event, Dial M will make your special occasion a time to remember. Our professionally trained casino dealers will give hands on training and are more than happy to teach your guest all the tricks of the casino trade. Casino parties for company meetings, sales incentives, client appreciation, conventions, trade shows, team building, prom nights, and fundraisers. Bring the excitement of Las Vegas to your special event with casino-style gaming. Choose from popular casino games such as Blackjack, Roulette, Poker, Texas Hold'Em Tables, Wheel Of Fortune, and Craps Tables. 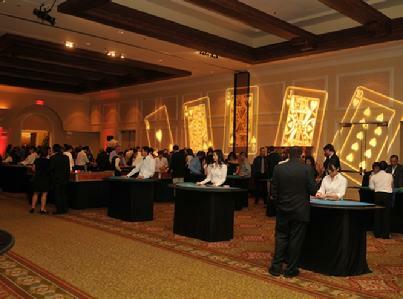 Our Casino parties are fully staffed by friendly experienced uniformed casino dealers. Our experienced casino staff will assist you in any way possible to provide a realistic casino experience. The casino tables are wooden with panels to the floor. The tops look just like the casino tables and are the regulation size. Our large 12-foot crap table is also casino regulation size, just like the casinos.